How Christian missionary activity in Nepal is rapidly changing the landscape of a traditionally Hindu country. “It’s because of nightmares”, said the pastor; that’s why kids don’t go to school.” Whilst waiting at an airport departure gate for a flight to Kathmandu, I got into a curious conversation with a Canadian businessman-turned-missionary who talked eagerly of his “mission” in Nepal. After explaining that I was going there to research the public education system, he was quick to voice his opinion. Notably, he attributed Hindu and Buddhist belief as a causal factor to low educational attainment and high dropout rates in schools. Specifically, supposed nightmares of snakes (the Hindu god Shiva is often depicted in snake form) and of dead bodies (referring to the common practice of public cremation) led to sleep deprivation which ultimately contributed to low attention-spans in schools. Dropouts among girls were also attributed to “snakes in their bellies”, causing irregular or painful periods. When I asked why Christian children don’t suffer nightmares of hell, he just laughed and remarked on the transformative power of prayer. He then added that he had personally performed exorcisms on a number of Nepali children, particularly in rural areas in which rates of “demonization” are higher. Before the conversation could go further, we boarded our flights and he disappeared behind the curtains of the business class section. While this is clearly a fringe perspective of the Christian faith, it is reflective of a particular brand of Christianity that is making a headway in Nepal. Converts and missionaries alike proudly claim that “…the power of God is being demonstrated through healings [and] exorcisms”. Such activities are met with a suspicion that only increases the zeal of missionaries, who claim the ‘persecution’ of Nepal’s Christians as akin to that of the early Christian community in the Roman Empire. In a country that now tolerates different religious practices but has a dim view of active proselytising, all but the most evangelical missionaries have been dissuaded from active conversion. As a result, fringe beliefs and practices such as exorcism and an extreme aversion to the “pagan” idols of Hinduism are particularly pronounced. For decades, Nepal was known as the world’s only Hindu state. 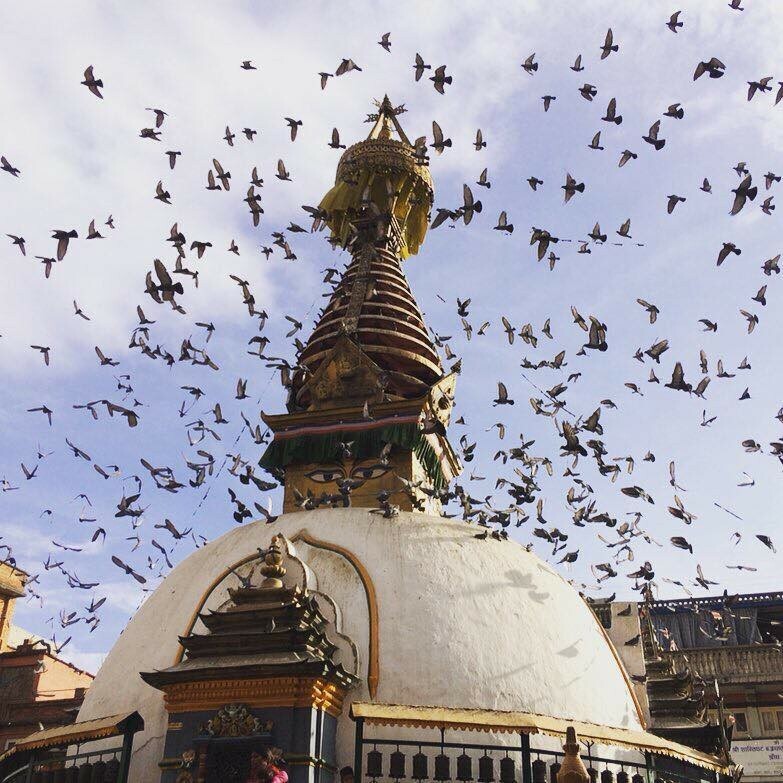 Following the country’s transition from a Hindu monarchy to a secular republic in 2006, Nepal now has one of the world’s fastest-growing Christian populations. Estimates of the number of converts vary widely. While the official government statistic maintains that 1.5 percent of the population are Christian, other estimates put this number closer to 10 percent and suggest that Hindu activists within the government have purposefully manipulated census figures to downplay the number of Christians in Nepal. In a country where Hindu, Buddhist and Muslim populations have coexisted peacefully for centuries, the rapid growth of Christianity is causing tensions. At the extreme end, Hindu nationalists perceive secularism as “…a Western conspiracy to transform Nepal into a Christian country”. There is also the popular perception that conversion has “…more to do with health, discrimination and poverty than pure belief”. Indeed, well-funded Christian missionaries have a tendency to operate in areas of need that the (predominantly Hindu) government neglect. An estimated 60 percent of converts come from the so-called “untouchable” Dalit caste, which make up only 13 percent of the total population. The egalitarian message of Christianity resonates among many Dalit communities, who continue to face caste-based discrimination such as being barred from Hindu temples and from interacting with upper castes. This has caused alarm among Nepal’s Hindu elite, culminating in a provision in the 2015 Constitution that protects the country’s “original” religions of Buddhism and Hinduism by banning proselytising from “non-original” religions. Opinion polls have also consistently shown that the majority of Nepalis are unhappy with the country’s secular status, with roughly half advocating for a return to the status of a Hindu state. Indeed, debate over the secular nature of Nepal’s Constitution erupted in 2015, in which police had to use water cannons and tear gas to dispel angry Hindu protesters. Christian churches are still not allowed to register as religious institutions but as NGOs, leading to a situation in which many evangelical groups operate under the guise of education charities. An example of this is a group called Mountain Child, that in 2014 signed a five-year agreement to open schools in rural Nepal. From the start, there were rumours that Mountain Child was a cover for evangelical Christian missionaries engaging in religious conversion and “church-planting” in the mountains. Their Footstool Project organises short-term mission treks for Christians from the US, focusing on “unreached peoples”, usually ethnic Tibetan Buddhists in the Himalayan Valleys, who are “crying out for help”. A blogger from one of these projects described how people in these regions are “raised the Buddhist way - no affection, no emotion, no love, just empty”, reflecting the opinion of non-Christian Nepalis as souls that need “saving”. 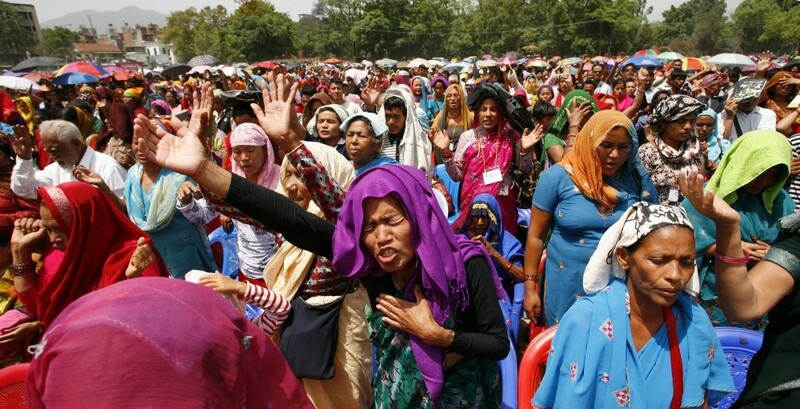 While Nepal’s Hindus and Buddhists have historically incorporated elements of other religions into their beliefs, evangelical groups require that their converts renounce and reject all expression of non-Christian traditions which are often viewed as the handiwork of Satan. Another missionary was quoted as saying: “If I have a choice between possibly offending you or saying ‘OK, whatever you believe is fine’, but I believe in my heart if you don’t believe in Jesus, you’re going to go to hell; well then, I’m going to take the risk of offending you”. The rapid growth of Christianity in Nepal is testing its new secular identity, and is fermenting an unprecedented rise in religious tension in a country formerly characterised by religious harmony. It exposes the endurance of caste-based exclusion and marginalisation that the state is quick to deny. Conversely, it is the state’s reluctance to fully accept freedom of religion that discourages all but the most radical of evangelical Christian groups from operating in Nepal, whose actions so far appear to be feeding a negative cycle and perception of Christianity as a whole. While in Nepal, I tried to contact the same preacher from my flight. He declined, saying he was too busy touring schools across the country and meeting with Nepalese politicians. It looks like the exorcisms will continue for some time.